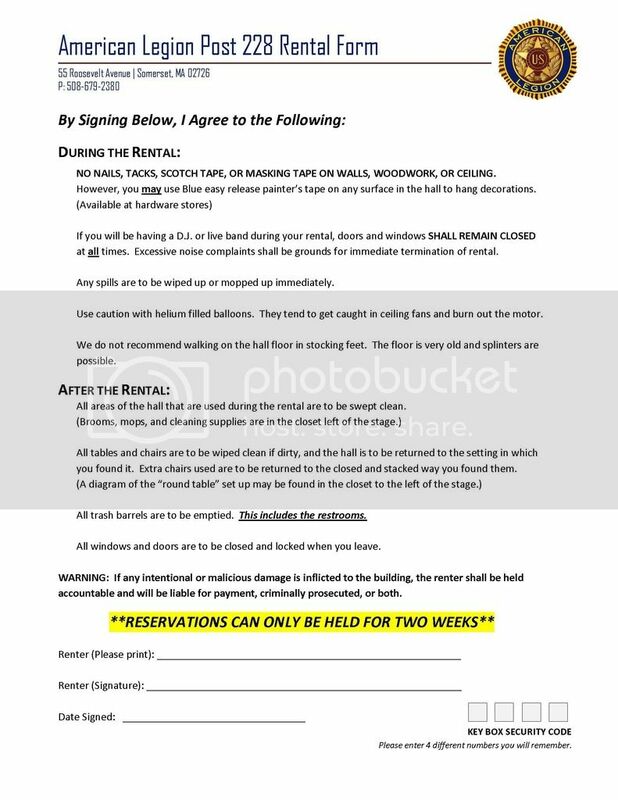 Please review the below rental agreement form before placing a reservation for our hall. If you have any questions or comments, please feel free to call Glenn Doup at 774-644-1359. Click HERE to download a fillable PDF to email the agreement to somersetamericanlegion@gmail.com or to mail it to 55 Roosevelt Avenue, Somerset MA 02726. To fill out the Hall Application, click HERE.